Kendra from Luv 2 Scrap 'n Make Cards here today to share a Christmas card with you!! Time to start getting all those holiday cards finished up!! 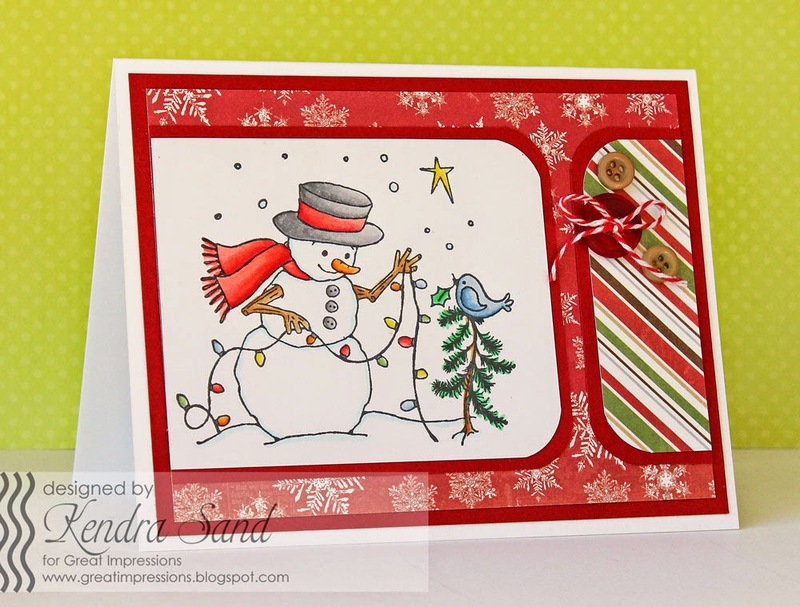 I just had to create a card using the adorable H427 Decorating Snowman!! Such a fun image!! LOVE it!! You can check out personal blog here. One of my favorite images. Very cute design. What a sweet card! Love the layout! Beautifully done!